NHS Screening Programmes offers screening to all eligible patients within a defined population. However, ensuring equality of access to services for patient groups with specific needs can be challenging. In this blog post, the manager of a local abdominal aortic aneurysm screening programme explains the steps the service took to meet the needs of a patient with learning disabilities (who we shall call Mr P) who was initially invited for routine screening in 2014. In line with standard procedures, the local programme completed a pro forma covering consent and a best interests decision to screen after issuing the invitation. May 2014: An appointment was arranged for May 2014 at Mr P’s GP practice but then cancelled by his carers due to unfamiliar care home staff being on duty that day. They asked for him to be invited again to the next clinic at the practice six months later as he would not be comfortable being screened in the community hospital, which the service visits monthly. November 2014: A longer appointment was arranged, again at Mr P’s GP practice. He attended but wouldn’t lie on the couch and his carers requested another longer appointment 6 months later. May 2015: The care home rang the screening office two hours before the next scheduled appointment to cancel it because no staff were available to bring in Mr P.
The care home then suggested he should be booked in at the next community hospital clinic. Concerned, the programme manager wrote to the trust’s learning disability liaison nurses (LDLN) and the patient’s GP asking for guidance. July 2015: An appointment was booked at the community hospital but Mr P again wouldn’t lie down. The LDLN contacted the programme manager to discuss the possibility of screening while the patient was under anaesthetic for other surgery. This was tentatively agreed as a possibility. 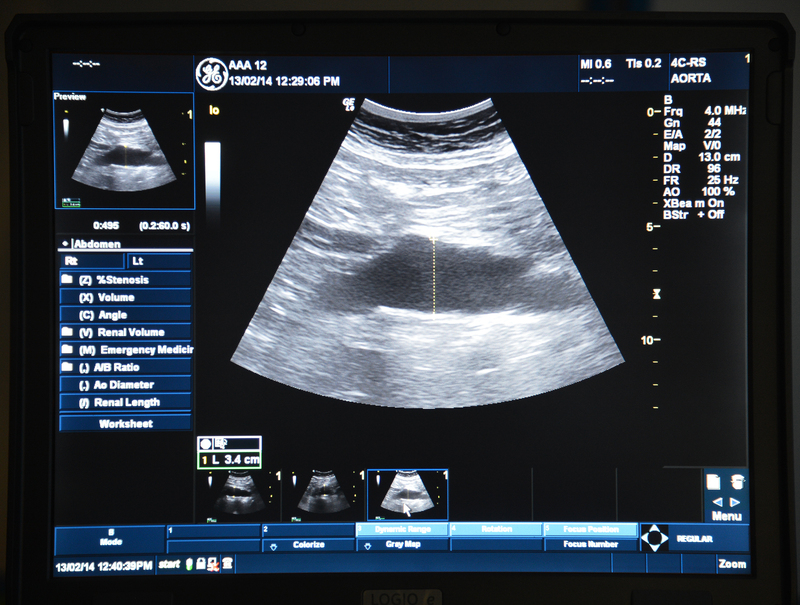 September 2015: Pictures of the AAA screening clinic staff performing a scan were sent to the LDLN. The LDLN cancelled the next community hospital appointment and asked for a rearranged appointment at Mr P’s GP practice. November 2015: Further pictures were supplied of the screening staff who would screen Mr P at the GP surgery clinic. The LDLN arranged for Mr P to attend the GP practice before the next scheduled appointment and to lie on the couch while an ‘ultrasound transducer’ (in reality a roll-on deodorant!) was rubbed across his abdomen. November 2015: Mr P attended an appointment in his own practice with the LDLN nurse supporting the examination. He refused to lie down in the room that the screening clinic was being held, preferring to use another room. The practice made this available, the screening staff moved to that room, he was screened and found to have a normal aorta. This is excellent practice in going that extra mile to ensure that our screening services are equitable to all those eligible.